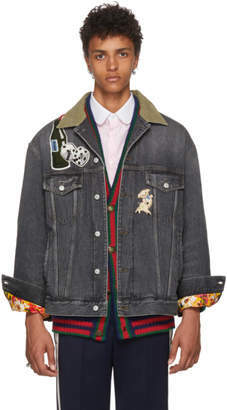 Alessandro Michele was appointed Creative Director of Gucci in 2015 and has officially reinvented the brand with his distinctly individualist aesthetic. 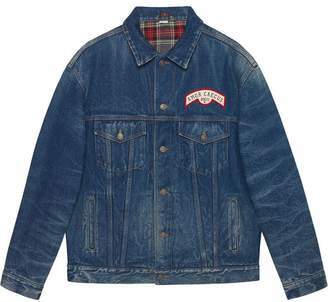 Drawing inspiration from nature, subculture and the label's own archives, the Italian maison is firmly on the radar of those who are one step ahead of the curve. 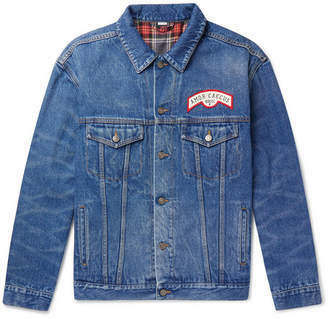 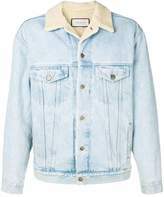 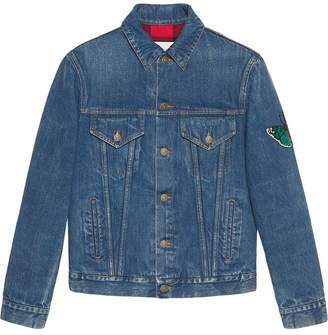 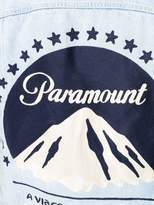 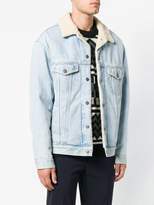 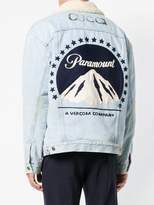 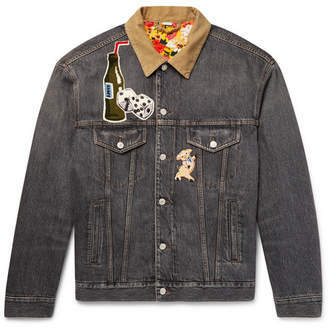 This blue cotton and silk blend Paramount print denim jacket features a notched collar, a front button fastening, front flap pockets and long sleeves.